Winters in Michigan can get chilly. When the temperatures outside dip down, you rely on the heating system in your home to keep you and your family comfortable and safe. That’s why you need a heating contractor you can trust. Boelcke Heating and Air Conditioning is ready to help. We offer comprehensive heating products and services for your home, including installation, repair and maintenance. 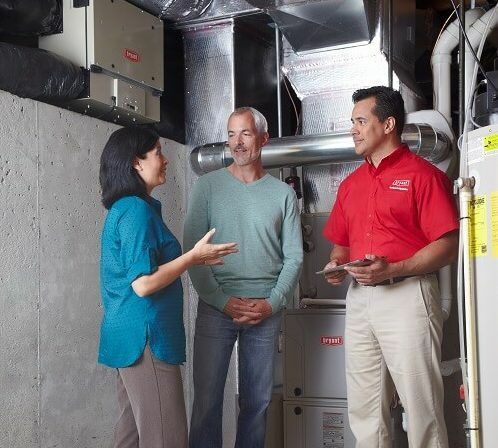 Our team of skilled heating technicians is ready to help with any heating concern you may have. They’re able to perform maintenance and repair on virtually any make or model of heating system. And, when you need a new heating installation, they will provide you with effective, efficient heating equipment for your home. When you work with us, you can rest assured that you and your family will enjoy a warm, comfortable home. Choose Boelcke to help meet all your home’s heating needs. When you need heating solutions from a qualified heating specialist for your home, you can trust Boelcke Heating and Air Conditioning. We can help meet all your home heating needs, large or small. Simply give us a call at (269) 429-9261, and we will be more than happy to assist you.